Posted by Weird Science Writer in Easy As Pie, Solar System, Space Exploration. When Lauren Tunnell heard that Pluto’s classification as a planet had been changed, she set out to discover just what was happening. She learned two things: scientists sure do like to argue and regardless of how we want to classify Pluto, it has some very cool and interesting features. Credit: National Aeronautics and Space Administration (NASA). Once upon a time, students were taught that there were eight planets in the solar system: Mercury, Venus, Earth, Mars, Jupiter, Saturn, Uranus, and Neptune. Then, in 1930, a ninth planet was discovered and it was named Pluto. For 76 years, there were nine planets in the solar system. That is, until 2006, when it was decided that Pluto isn’t really a planet, and there are only eight planets in the solar system after all. So, what happened to Pluto? And why has it been demoted from planet status? Pluto isn’t being ignored. In fact, scientists are learning more and more about this distant world. We now know Pluto’s approximate size, mass, temperature, and chemical composition. !n 1978, Pluto’s largest moon, Charon was discovered, and in 2005, we learned that Pluto has two additional moons, Nix and Hydra. However, we have also learned about a lot of other celestial bodies. Most notably, Eris was discovered in 2005. Eris’ orbit is far away from the sun (three times farther than Pluto!) but it is slightly larger than Pluto. People started to wonder if Eris should be considered the tenth planet. If that isn’t confusing enough – then more potential planets started to turn up. It was discovered that Pluto doesn’t orbit alone, but is actually a part of the Kuiper belt – a large ring of rocky objects encircling the sun (like the asteroid belt but much bigger!). Although Pluto is the largest of these rocky objects that has been discovered so far, it really isn’t particularly special or distinctive from the other Kuiper belt objects. Nobody knows how many of these Kuiper belt entities exist, but at least five with diameters of 500 km or more have been identified. Does this bring our total number of planets to fifteen? What about the worlds we haven’t even discovered yet? Could this mean that there may be hundreds, or even thousands, of planets in the solar system? All eight of the major planets orbit the sun along the same plane. Kuiper belt objects, including Pluto, orbit on a different orbit that is diagonal to the orbit of the planets (Eris has an even more eccentric orbit than Pluto). The planets are pretty big! Even Mercury, the smallest of the eight, is many times larger than Pluto. The planets have their orbits all to themselves. None of the eight major planets have asteroids or other planet-like objects sharing their orbital path. Credit: NASA. 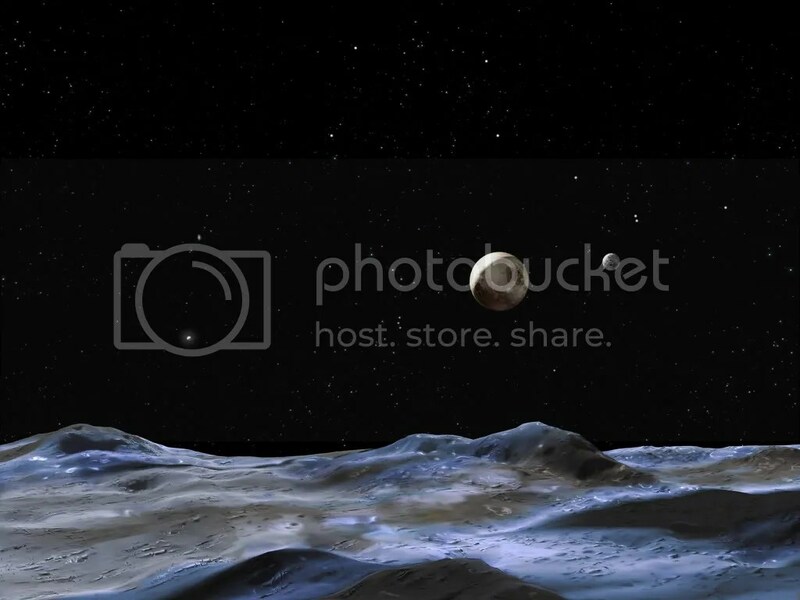 This image depicts Pluto in true color. 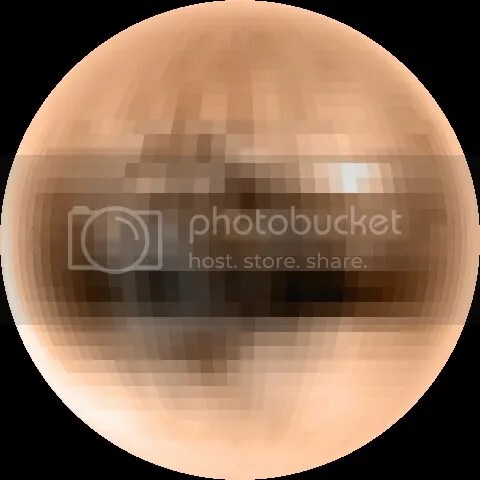 Pluto is mostly brown, which according to NASA is thought to be from frozen methane deposits metamorphosed by faint sunlight. So Yeah, What About Pluto? Since Pluto fails to meet these criteria, it was decided that Pluto was, in fact, not a planet but something distinctly different. Pluto has now been reclassified as a dwarf planet, along with Eris and the asteroid belt object, Ceres. Over a dozen other celestial objects are also being considered for dwarf planet status (including Pluto’s largest moon, Charon). Of course, all of this is subject to change as we learn more and more about the solar system and require new words to describe the alien worlds we’ve discovered. One thing is for sure – there is still a lot we don’t know about the solar system but no doubt, scientists will continue to argue out the nuances of these discoveries as they are made!